A self-driving car has lost control of its brakes and is heading down the road toward some pedestrians. Which one should it hit — an elderly person or a child? For the last four years, the MIT Media Lab has been inviting visitors to answer a series of questions like these. It’s part of a project to learn more about moral decision-making. The project has been immensely popular, with more than 2 million participants from more than 200 countries. This week, Nature published a new study that makes use of that data to understand how people around the world think about hard moral tradeoffs. The study, called “The Moral Machine Experiment,” mines the data to understand when human preferences around questions like these are universal, and when those preferences are culturally specific. Mountain View, Sunnyvale, Los Altos, Los Altos Hills, and Palo Alto drivers might want to watch out—Alphabet-owned autonomous vehicle firm Waymo just won the right from the California DMV to deploy its cars to those cities, without the characteristic human safety operators that have been a hallmark AV testing. In a company blog post, Waymo noted that “it’s the first time that California has allowed tests on public roads of fully driverless cars ― that is, without a test driver sitting in the driver’s seat,” and elaborated that the permit includes day and night testing, on a variety of road types at speeds up to 65 mph. “Our vehicles can safely handle fog and light rain,” Waymo writes, suggesting the permit does not cover other forms of inclement weather. We’ve reached out to Waymo for clarification and further details on its rollout to these cities. That people would generally prefer to minimize casualties in a hypothetical autonomous car crash has been found to be true in past research, but what happens when people are presented with more complex scenarios? That people would generally prefer to minimize casualties in a hypothetical autonomous car crash has been found to be true in past research, but what happens when people are presented with more complex scenarios? And what happens when autonomous vehicles must choose between two scenarios in which at least one individual could die? Who might those vehicles save, and on what basis do they make those ethical judgments? 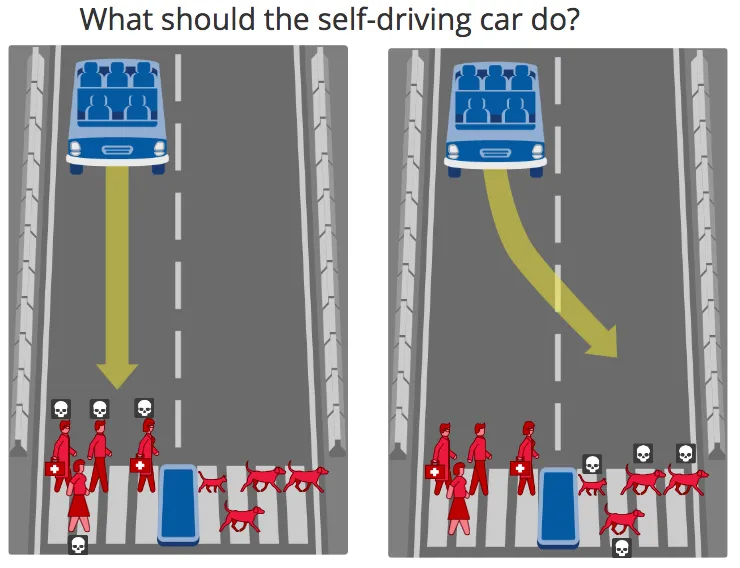 It may sound like a nightmarish spin on “would you rather,” but researchers say such thought experiments are necessary to the programming for autonomous vehicles and the policies that regulate them. What’s more, the responses around these difficult ultimatums may vary across cultures, revealing there’s no universality in what people believe to be a morally superior option. In one of the largest studies of its kind, researchers with MIT’s Media Lab and other institutions presented variations of this ethical conundrum to millions of people in ten languages across 233 countries and territories in an experiment called the Moral Machine, the findings of which were published in the journal Nature this week. Many soldiers will no longer have to fear close contact and hand-to-hand combat because they will be able to deploy robots and unmanned vehicles at great ranges. However, fear acts as a modulator of behavior, and by reducing it we will likely also remove constraints on unethical behavior. If a soldier cannot see, hear and understand the context of a battlefield or a particular engagement, he is less likely to concern himself with decisions requiring such nuance. Perhaps a machine can make a utilitarian calculation on proportionality of force, but can it make an empathetic decision? Would it be able to sense an enemy’s wavering determination, for instance, and call off an attack to prevent unnecessary loss of life? 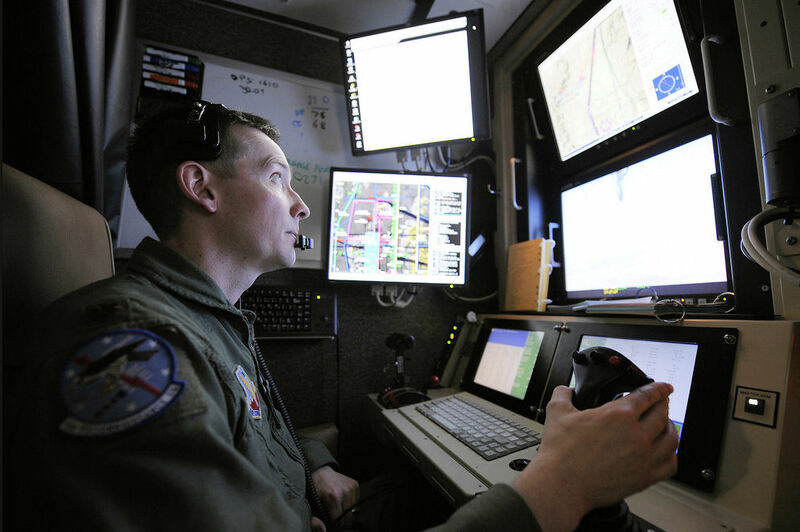 Commanders and troops on the ground, in contact with an enemy, have a “feel” for the complexities of the battlefield that cannot be reproduced by a machine. Computers, artificial intelligence, robots and autonomous systems will create an environment too complex and fast for humans to keep up with, much less control. Driverless cars may be our future, but that doesn’t mean automakers have turned their backs on flesh-and-blood motorists. Now Nissan has come up with a technology designed to make driving more fun for the folks behind the wheel: a “brain decoding” system that gives automobiles the ability to anticipate a driver’s action — hit the brakes or gas or make a turn — and then initiate the action before he or she does. 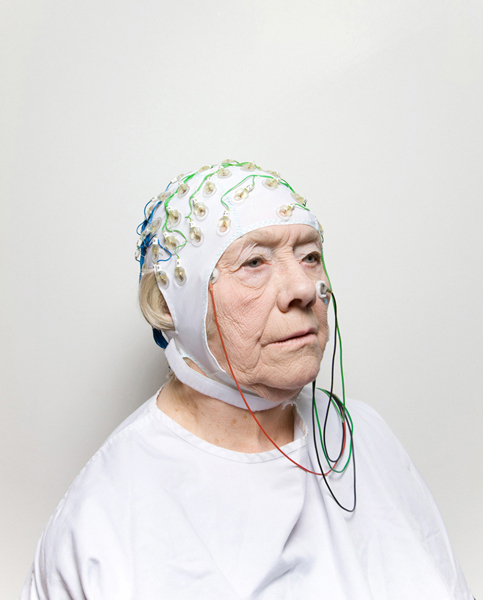 Dubbed “Brain To Vehicle,” or “B2V,” the system uses an electrode-studded skullcap to capture the driver’s brain activity and artificial intelligence to interpret it. B2V detects brain signals that will trigger the movement of the driver’s hands or feet a moment before the movement begins. Thus, reaction times are cut by as much as half a second, the company said in a written statement. The driver turns the wheel and pushes the pedals as usual — but with an enhanced sense of nimbleness and control.